Are you suspecting your spouse of infidelity? Or are you applying for divorce and fighting a case for child custody? Do you need assistance with litigation defense or insurance claims? In such cases, hiring a private eye is the right solution for you. Michael McKeever private investigation services can provide you the correct, professional investigation in several cases including infidelity, matrimonial investigations services, employment background checks, computer forensics, surveillance, photo and video evidence, missing persons, domestic investigations, insurance cases, and any other circumstance where you need to seek out the truth. Michael McKeever has more than 30 years of experience in this field and is known for determination, perseverance, and expertise. With his skills and expertise, Michael McKeever can find the truth about all the defenses in an aggressive, belligerent and efficient manner. So, if you are based in areas like Manhattan, New York, NY, or NYC, quickly resort to us without any further delay. Here, we have put together a few qualities of a good detective or private investigator that you must know. Take a look. Any detective or private investigator has to be smart and intelligent. There are many things that happen around us but we tend to overlook it. But a private investigator always observes and notices everything. Sometimes, we might not be able to understand the meaning of a few things but a detective will definitely help you understand the underlying meaning of several things. Next, another important thing that you need to keep in mind while choosing the right detective is dedication. 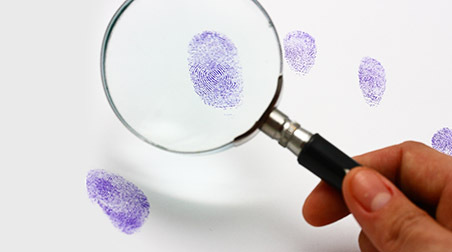 Your investigator must be highly dedicated towards seeking the truth for you. He or she should always be active and look for clues so that they can gather every evidence that is crucial for your case. So, if you think we can provide you with these two qualities, then quickly get in touch with us now.